"**Due to high demand we can only guarantee rates and availability for 2 days, though we will do everything possible to honor all reservations (availability permitting). 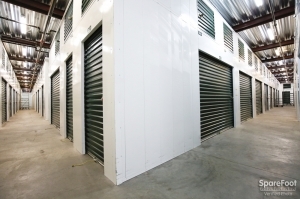 Please book your unit within 2 days of your storage need. Thanks!" They were incredibly helpful and efficient. This place was incredibly easy to work with and very helpful. I came in on crutches and they were incredibly accommodating. Pricing beat anyone else in the area. Top notch friendly customer service. clean well lit hallways and units. Iâve had units at several facilities in the valley over the years & this is the best one yet. Clean and secure facility. Good management. I'm very happy with this facility. Rebecca is a great person who manages the place. She's very friendly and helpful. I have used other storage places before but the staff went out of their way to walk you through and show you how the gate works and where to park, etc. This facility even has a bathroom which is a great bonus. Rebecca was great and made the storage placement easy! Everything here is as it should be: cheap rates, good customer service, convenient. Friendly, helpful staff, easy access, clean environment, close to home, best prices around coupled with 2 month special made this a steal! Love the rates and the staff! I had a really good experience with enterprise from my search to actually getting my storage unit! I would definitely recommend this place to a friend! This place is affordable and has great customer service. Lilly was very helpful and accommodating, the location is very conveniently placed off a major highway, and I love the layout of the place. Extremely easy to get in and out with a high level of security in place. 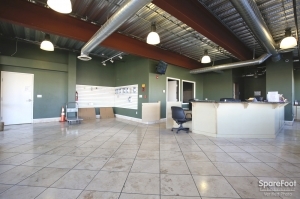 Helpful staff, well-priced, and great, securred facility. 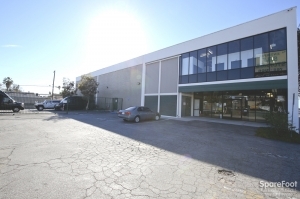 Lilly is very helpful, friendly, and accomodating, and the facility is well designed with climate control. I have no doubt my belongings are secured. Misleading in advertised prices of units. Very misleading with the advertised size of units. My unit is nearly half the square footage of what I reserved and was quoted. Not acceptable but when you have a moving crew with a truck full of stuff waiting there is not much you can do. The units are clean. I stopped by to check out this facility for a long term(over a year) storage of a vehicle. Unfortunately part of the storage area will be under construction during the time I needed. The sales representative was very helpful however in trying to find me alternative arraingments. Good price! Kinda hard to turn in and out of. I dig the place, overall. My only complaints are that its hard to get in and out of the parking lot during business hours, because the street is crazy busy, and I wish they were open later. Good. Wish they had better hours. Good. Wish they had better hours. Also, maybe cover the broken keypad instead of yelling at people out the door, over and over. I have had a unit here for over 2 years now and I have had a great experience overall. I feel that my belongings are very secure and I am safe while in the facility. I like the fact that it is not 24 hour access for the security factor. The location is great for me and it has all the amenities I need. Management was very professional and well-mannered. Price was a very strong factor in making the decision to utilize Enterprise; also, the service helped connect me to the right storage site. Good facility but inconvenient hours. Great customer service. However they close early. 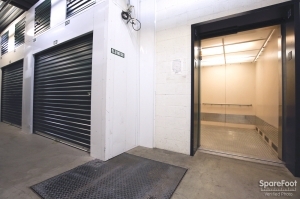 Clean and safe, my unit is a top unit and there is always a staircase available. I love this place easy and affordable. The women that works behind the counter is always polite and helpful. I found the facilities well managed, cleanliness high, and great passion in how the employees provide Customer Service to the customers. clean and secure, and price was the best. had no problems. Great service somewhat inconvenient location. I booked my unit online through spare foot. When I got there I was informed that the unit I had booked was wrongfully sized and they did not have a unit for the price I booked. Although the attendant gave me a free lock and waved initiation fee, I was still a little disappointed that I didn't get an adjusted rate for the new unit. I got a smaller unit and ended up paying more money. Moral of the story, they do not update their information fast enough so call right away and find out if the unit you are renting is actually available. Other than that everyone is very sweet and security and location are great. 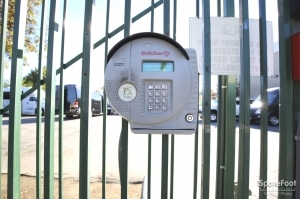 While the physical facilities at the North Hollywood Enterprise Self Storage branch are nice enough, the billing system and subsequent customer service there could definitely use some finesse to put it nicely. Constant glitches/errors in their billing system, causing customers unnecessary late fees and worry/hassle in having to call ESS to fix their billing issues. Customer service is only nice when you're paying and keeping quiet about the problems. If you address your concerns, you are met with defensive posturing instead of courteous problem-solving attitudes. I'm disappointed, I thought Marlene was a nice lady at first. It seems the customer service with this company is hit or miss. Great customer service, fair prices and feels very secure. Jordan at the front desk was fantastic. She was quick and efficient and friendly. Her dog is super cute too.. At first I was kinda unsure of using a Mezzanine space, but for the price, It's a brilliant idea and I commend them for offering a space that is so affordable. The $15 sign-up fee was waived when I signed up for automatic monthly payments, plus my space was pro-rated. NO tax is added onto the $45.. so it's really JUST $45 a month!!! Facility is clean and well lit. Don't hesitate to jump on this deal if you need storage! Very helpful and friendly and great rates. Not too keen on having to walk my stuff high up a metal ladder to put my stuff above a storage unit into a storage "locker" and 7 pm is a little bit early for their closing time, but the storage was very clean so overall, I would recommend them. My experience was outstanding! The woman at the front desk stayed a half hour after closing just to make sure I got a space that day! I had just got off the road and didn't want to leave all my stuff on the street, she made sure that I had a unit even though I didn't reserve one until 20 min before they closed. Unit was specifically picked for me because it was close to the load in area! Paper work was easy, space is a great value for the price. They let me prorate my month and informed me that if I check out and need to go over into the next month, I can prorate that too. I had a great experience, I recommend this company fully. They were training a younger man to fill out the paperwork so it took a little longer than normal- I didn't mind- my family started the move in process while I did the paperwork. Overall, a very good experience. 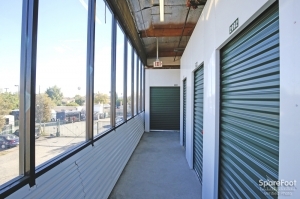 I went on Spare Foot to find a great rate with a local storage facility not too far from where I live. I got a great rate with Enterprise, but was hesitant as to how nice of a place it would end up being for the price I was quoted. Granted, the locker I got is on the mezzanine level of floor 1, meaning you need to roll up a stairway to put your stuff above one of the lower lockers (like an above head attic space), but since we don't have ridiculously heavy items, this is not a problem since we're getting a 5' X 10' space for almost half the amount it would normally cost! Long story - longer, I definitely recommend this clean, family-owned and operated facility. The staff, Randy and Joe, were great, friendly and efficient! Thanks! enterprise is easy to get in and out of, right off the 170, and everyone was so nice and helpful! Marlene & Joe are the best employees. so excited climbing the ladder. its cool. from entering the office to the time that I had moved in, Marlene was so helpful. she accompanied me in and out the storage and thought me everything to go around the facility. I am so happy I discovered Enterprise -Self- Storage. Best find of the year! 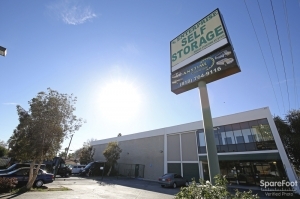 I was at my wits end when I drove by Enterprise Self Storage in Burbank area. I called the number on the side of the building and Randy answered. He did not have a unit available for me and could have ended the phone call with "Sorry ...no units available" But he didn't . He told me to come on in and he would help me try and solve my storage problem. It was hot and I was so exhausted. He offer ice cold water and encouragement with a smile. He found me a unit in No. Hollywood and even printed up the directions for me. He helped me with the process and to top this with an even better ending, he gave me chocolate. (A Gold star in my book) He will never know how his kindness and professional attitude was such a blessing. It was a kick start of a new beginning when I felt I had hit a brick wall. I also had wonderful help at the No. Hollywood facility when I arrived to secure my unit. The lady there was great(sorry I have forgotten her name) The entire staff treats you like a valued friend and customer. A rare thing these days and much welcomed. It was clean, fast and they had all the necessary equipment to help with the move-in. 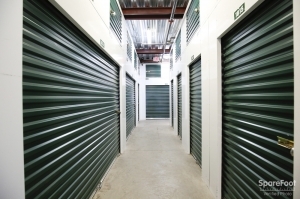 I would recommend this company to anyone needing a storage facility. Everyone was very nice and helpful. They made sure the unit was everything I needed and were efficient and fast with all of my paperwork. Customer service was very good. The upper units have a sizeable gap from the locker to the ceiling (roughly 10 inches) which potentially poses as a security concern if filling the entire contents of the unit. It was advised to not fill the unit more than 3/4 high in order to keep it wholly secured - unless solely storing boxes. 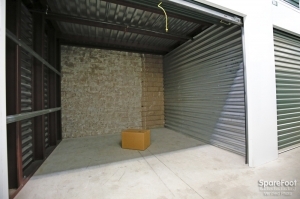 Overall, good storage facility. Marlene was busy but she finally got to me. Paperwork was a bit lenthy, but ok. Locker was a bit dusty. My code didn't work, but she was trying her best to get stuff taken care of. Marlene made it easy & pleasant. Great customer service. I was quite pleased with my experience until I realized my locker had been burglarized. There is a sizable gap between the ceiling and the locker door, large enough for someone to stick their arm over and rummage through what's near the door. It didn't occur to me to care until I discovered some valuables were missing. Enterprise has been courteous and on top of the full investigation. It's my fault for choosing units with any potential opportunity for invasion, but it never occurred to me because I considered the facility secure enough to feel safe. I'm sorry I was wrong. I needed a safe place to store my excess things while I'm relocating and am so far happy with the facilities and service at Enterprise Self Storage. The online move-in deal was good because the gave me a free lock for my storage locker. I hoped to rent 5x10 storage for $29, I didn't notice that this price is actually for a "locker". Excellent! Most seamless move into storage I've ever had. They are well lighting it helps with my vision. Some other storage with poor lighting condition I could not see. They are the best. Great customer service and very clean facility. I had no problem getting my unit at all. The pic posted is not how it looks from the outside. Desk clerk was helpful but could not find my reservation at first. The unit is upstairs and very clean. Air conditioning could have been cranked up a bit more. Rate was exactly as expected and I will be getting a free month. Also got the free lock as advertised. Overall, this place is ok. The service was good, access to my storage was easy and great rates. Very friendly, outstanding customer service. The front desk called me 3 times before my move in date to verify and to give me directions and pointers. The price was actually the lowest I could find on the net. Overall I would rate my experience as "Excellent". Reserved a locker for only 30/mo, it was great! The locker is huge, and great for moving boxes into, I highly recommend it if you aren't filling your space up with furniture. The staff was very friendly and useful, everything was in and locked up in less than half an hour! Customer service is above what I expected.Friendly lady at counter she even offered to buy me a cup of coffee. 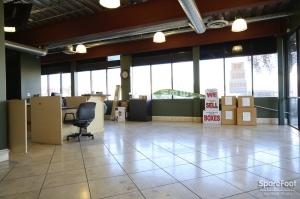 Staff was quite helpful in securing the appropriate storage unit and made the move simple as could be. Very good rates, helpful staff, recommended. It has the best rates I could find. The staff is very helpful and in few minutes I was set up. They also gave me a free lock and a free first month rent. No problems at all, very recommended.